Your manual to building and leading a culture of C.A.R.E. The ten van Stralen brothers built The Grounds Guys, their landscape management company, from the ground up. By establishing a “culture of C.A.R.E.” as the centerpiece of the organization, the brothers have experienced tremendous success, working together in unity and growing their concept into a multinational franchise brand. C.A.R.E. 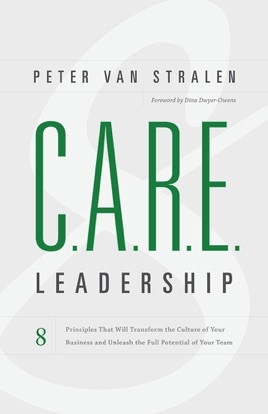 Leadership shares the van Stralen brothers’ extraordinary story and shows how eight simple but powerful leadership principles derived from the code of C.A.R.E. will enable your company to thrive, too. It’s all about the culture, author Peter van Stralen argues, and each one of the principles—from “Create a Remarkable Experience” to “Be Humble” to “Listen Well and Communicate with Respect”—gets leaders one step closer to creating a team that is competent, fun, fulfilled, engaged, and committed to giving customers the best service possible.